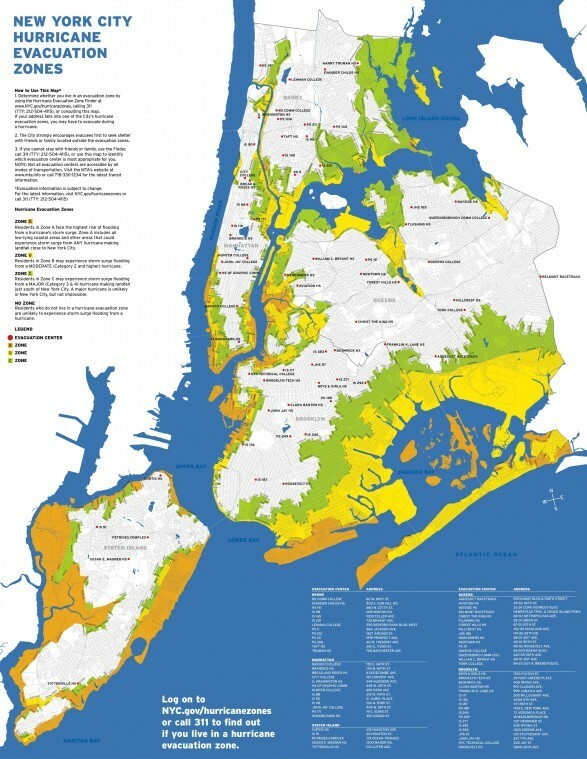 Home > Science & Nature > Weather > New York City: Hurricane Irene Map? So I'm very concerned about Hurricane Irene coming to New York City. I've never been in a hurricane zone so I have absolutely no idea what to do. They're saying on TV that Hurricane Irene is a big storm and that New York City is taking some evacuation measures to avoid a major disaster. Is there a way to see a map of Hurricane Irene's path in New York City? What places of the state are going to be evacuated and when is it going to happen? Just heard that MTA service including subways, buses, and railroads will begin to shut down at noon tomorrow, it sounds scary. The best way to be prepared for a hurricane evacuation is to know your zone and plan your destination and ahead of time. New York City is about to shut down the city’s entire transit system, all 468 subway stations and 840 miles of tracks because of Hurricane Irene. Up and down the New York City East Coast more than 2 million people were told to evacuate. New York City police will be driving down the streets with loudspeakers enforcing the evacuation mandate. A map of the places that will be possibly affected by hurricane Irene. The hurricane is still coming towards New York and God only knows what can happen. I just hope it passes rapidly, this thing really scares me. Similar Threads for: New York City: Hurricane Irene Map?